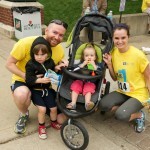 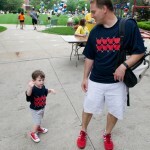 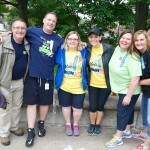 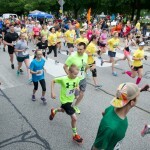 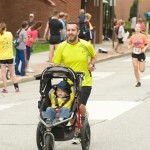 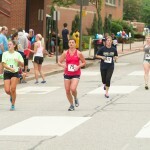 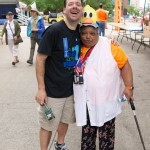 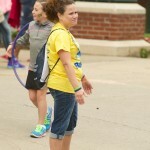 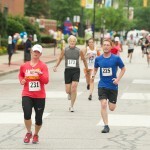 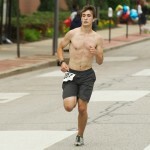 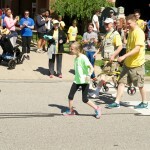 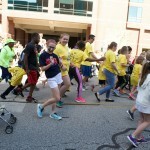 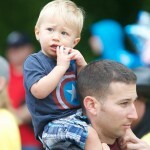 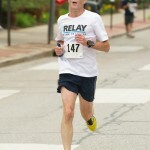 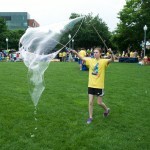 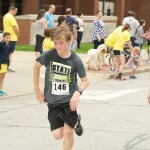 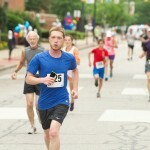 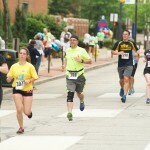 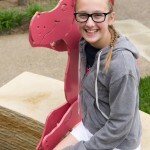 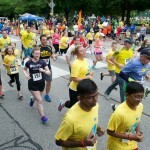 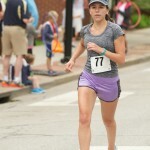 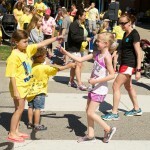 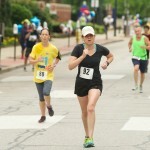 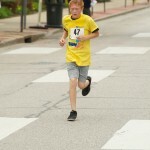 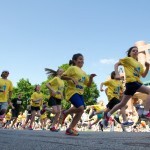 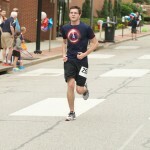 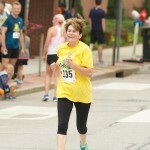 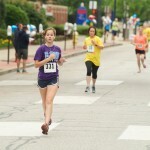 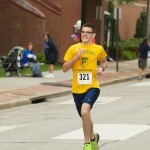 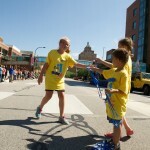 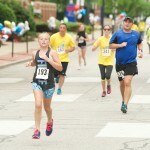 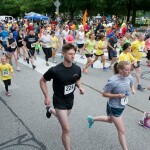 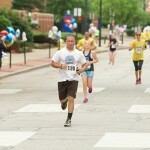 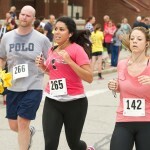 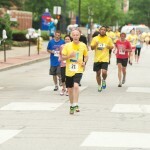 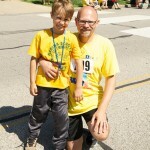 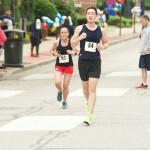 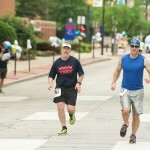 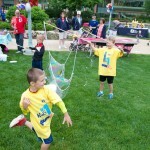 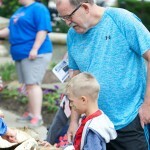 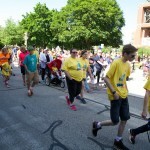 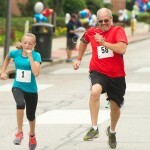 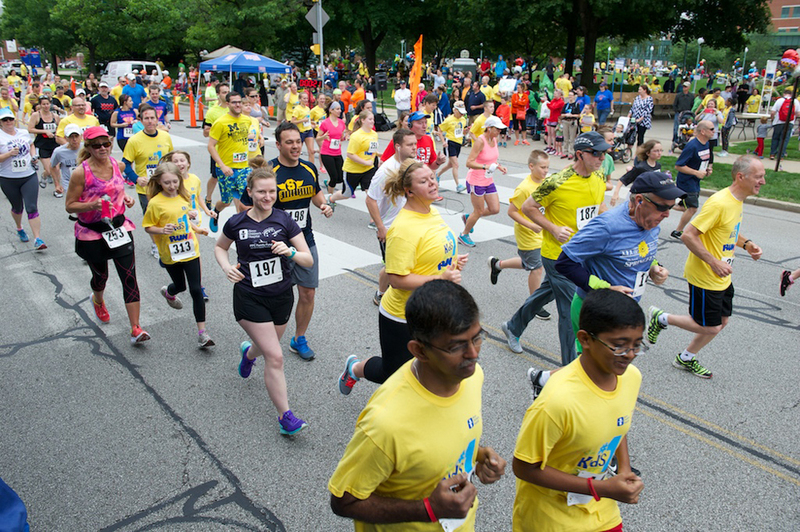 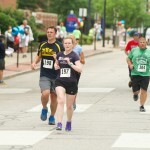 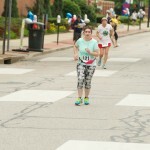 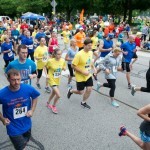 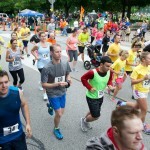 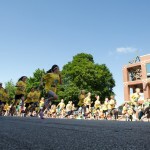 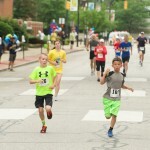 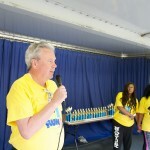 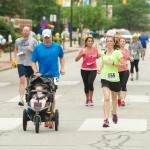 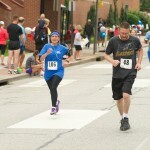 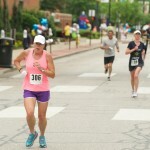 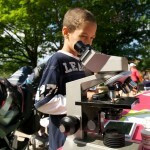 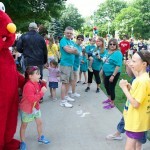 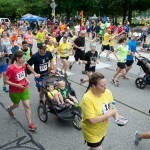 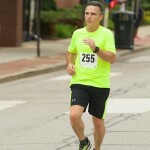 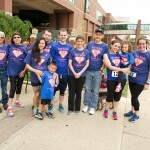 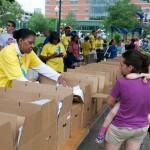 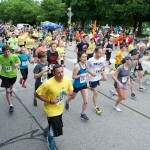 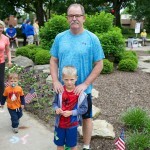 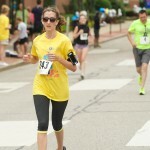 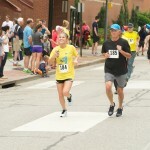 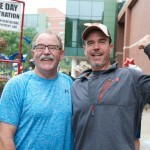 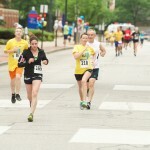 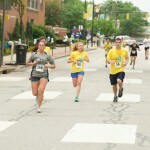 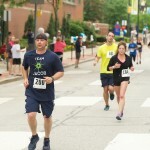 More than 1,000 runners, walkers and dogs participated in the day’s festivities, and many more friends and family members joined them for the fun and fitness-oriented activities in Perkins Square Park. 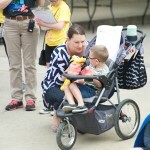 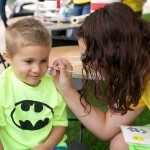 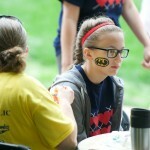 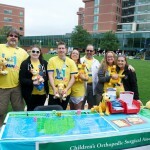 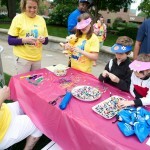 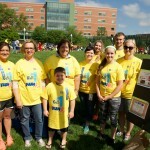 The event raised $10,000 for Akron Children’s social work department and a picnic for patients and families affected by cerebral palsy. 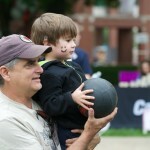 If you were there, we hope you find yourself in the large gallery below. 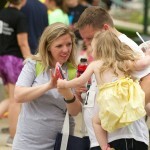 Families are the focus of the day. 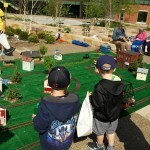 The Northern Ohio garden Railway Society is always a big hit with the kids. 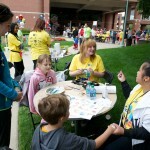 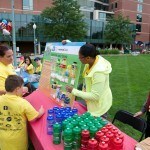 A view of the health and fitness fair with the Kay Jewelers Pavilion in the background. 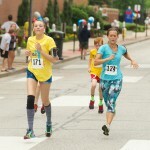 There appear to be no age limits on some of the running teams. 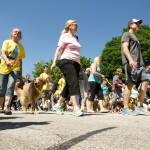 The crowd streams past in the Paws for a Cause dog walk. 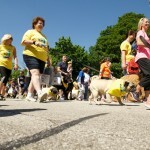 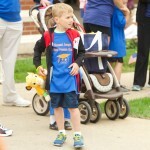 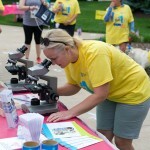 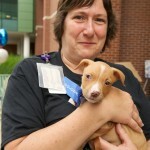 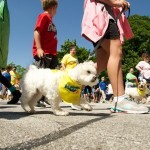 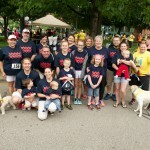 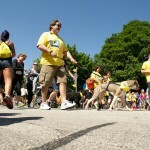 More than 100 dogs participated in the Paws for a Cause dog walk. 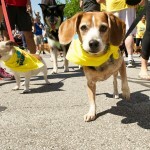 There’s no pause in these paws. 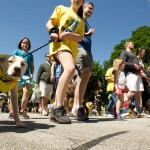 The start of the Paws for a Cause dog walk. 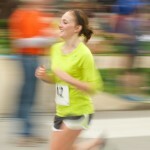 A runner’s best friend on this day. 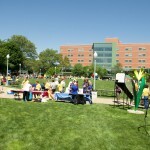 If you look closely, a giant leaf is sneaking out of the picture. 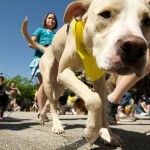 Dogs of all shapes and sizes enjoyed a walk. 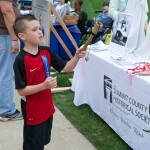 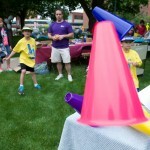 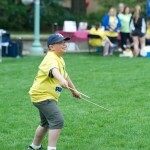 There was plenty of fun to be had for children of all abilities. 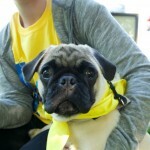 Each dog that participates in the walk receives a scarf. 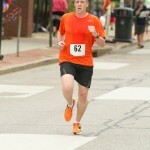 Another 5K in the books. 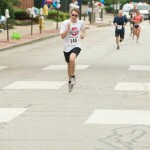 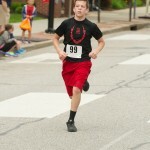 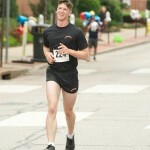 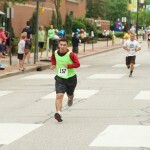 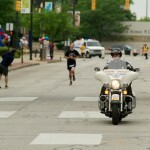 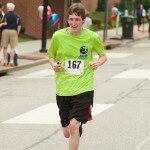 Nearing the end of the one mile fun run/walk. 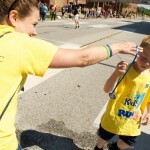 A medal waits for each participant in the one mile run/walk. 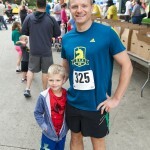 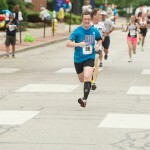 The run/walk always features a ninja or two. 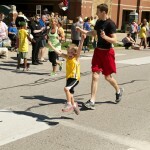 The finish line celebration begins. 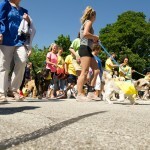 It was a perfect day for those with both two and four legs. 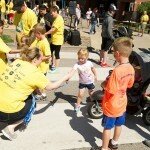 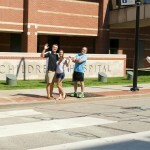 Kids helping kids and the kids run. 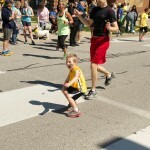 Not everybody needs to run to have fun. 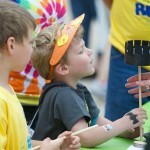 Some of the characters had four paws. 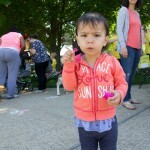 Peace, love, sunshine and bubbles. 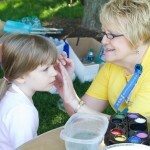 Cyndi Ott paints another satisfied customer. 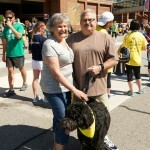 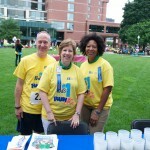 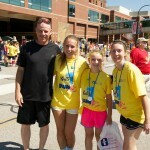 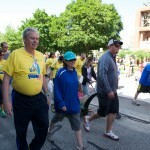 Hospital president and CEO Bill Considine is joined by his wife Becky for the run/walk. 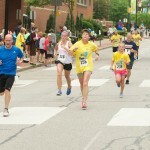 Although yellow was this year’s shirt color, a few vintage shirts made an appearance. 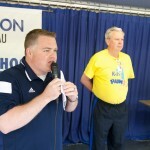 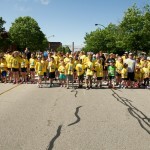 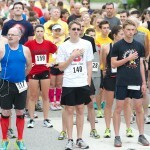 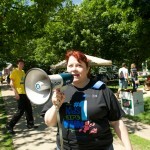 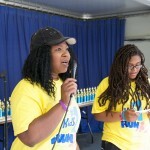 More than 500 participated in the run/walk. 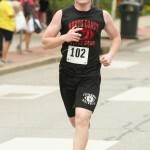 Somebody just looks that good. 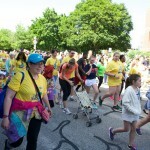 The crowd continues streaming past at the start of the run/walk. 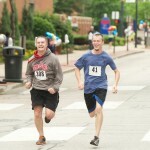 The one-mile run/walk goes pretty quick for some. 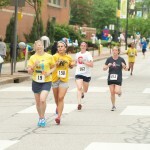 And they’re off at the fun run/walk! 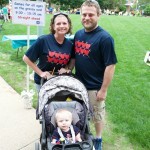 Dr. Patrick Riley and company prepare to cheer on family and friends. 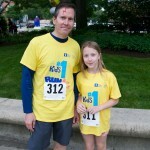 A quick pic before the start of the run/walk. 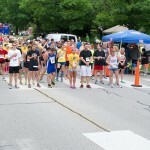 Lined up for the start of the one-mile fun run/walk. 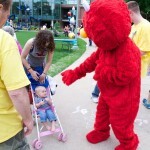 Looks like someone is tickled by Elmo. 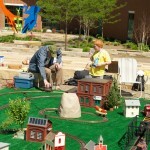 The Northern Ohio Railway Society makes it’s annual visit. 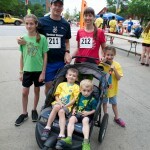 Dr. Joel Davidson and family. 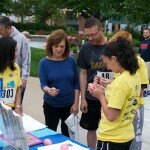 A happy group at the health and fitness fair. 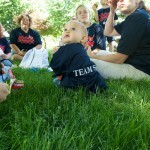 It was a fun day to see all things big and really, really small. 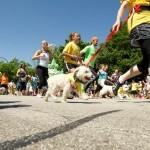 Some dogs may have had a little help. 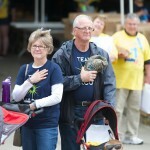 One of several patient/family teams taking part in the day’s festivities. 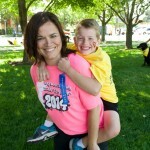 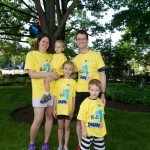 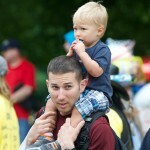 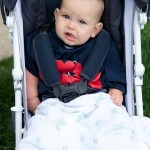 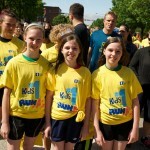 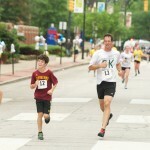 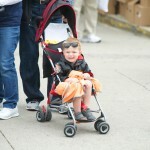 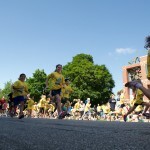 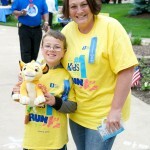 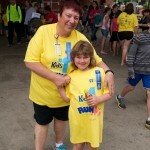 The Kids Are Number One Run is an annual event for many families. 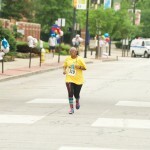 Takisha Willis finishes the 5K. 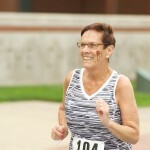 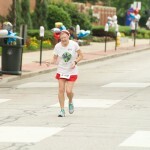 At 72 years young, Judith White was the oldest finisher in the 5K. 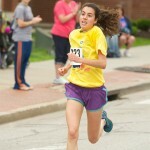 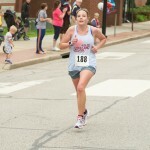 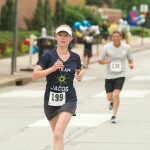 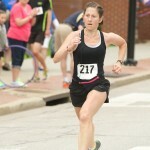 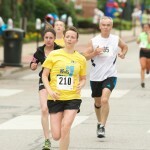 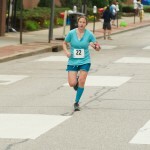 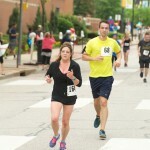 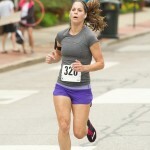 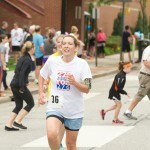 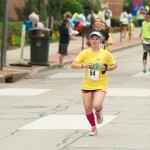 Stacey Krautheim heads down the stretch in the 5K. 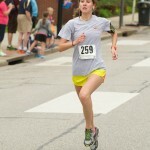 Paige Smith nears the finish of the 5K. 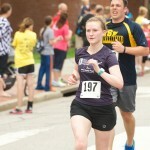 Caroline Bird receives a little support near the finish. 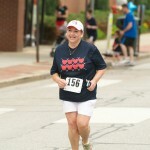 Pat Huth is still smiling at the finish. 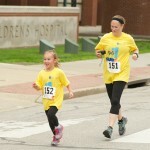 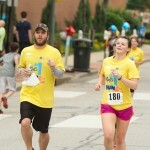 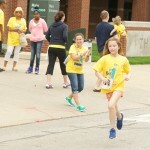 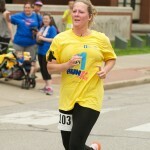 Kimberly Newbauer guides her daughter Morgan into the finish. 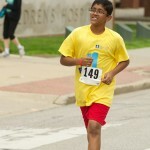 Rishikesh Nallasani approaches the finish chute. 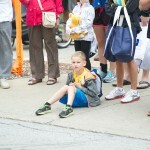 Is she still waiting for someone? 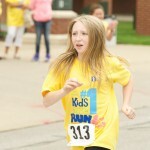 Abigail Mix is working hard. 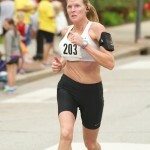 Tamela Paone is nearly done. 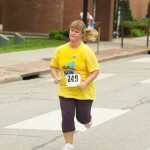 Lynette Hunt is striding in. 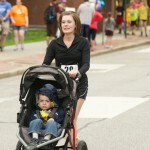 Melodie Briand guides her little one to the finish. 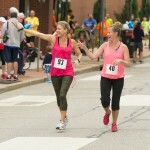 Kristina Higgins (L) and Kathleen Cody wave to the crowd. 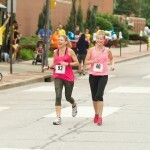 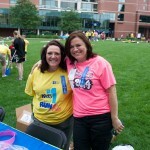 Kristina Higgins (L) and Kathleen Cody are all smiles at the finish. 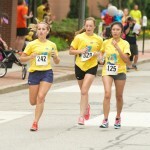 (L-R) Hannah Wamser, Brooke Knapp, and Lorraine Licata form a speedy trio. 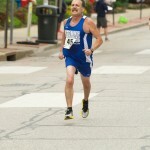 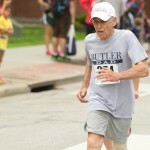 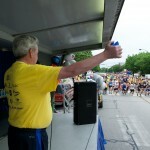 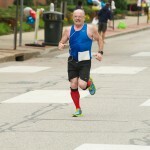 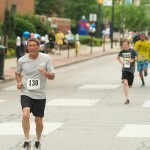 Frank Pantuso, 73, is the oldest finisher in the 5K. 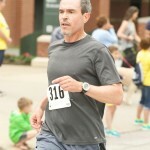 Checking out the photo finish. 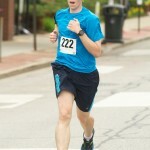 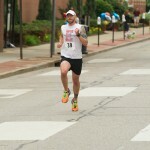 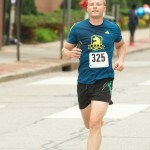 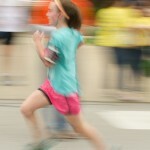 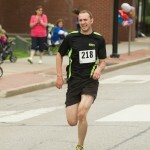 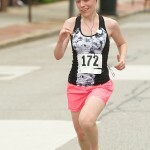 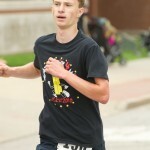 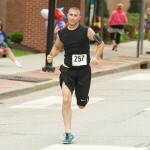 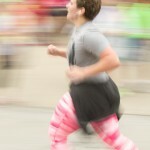 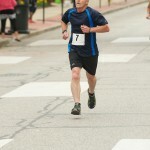 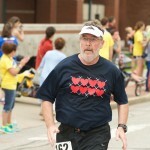 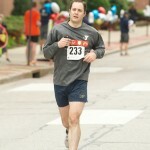 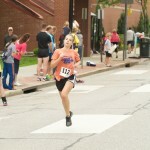 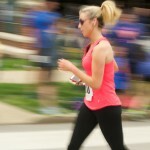 The race must seem like a blur to this finisher. 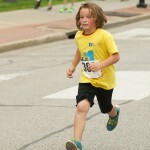 A young finisher flies down the chute. 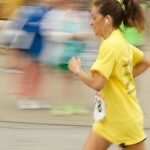 A little traveling music helps the miles pass by.